Abandoned Trains Are Always Sad To See! 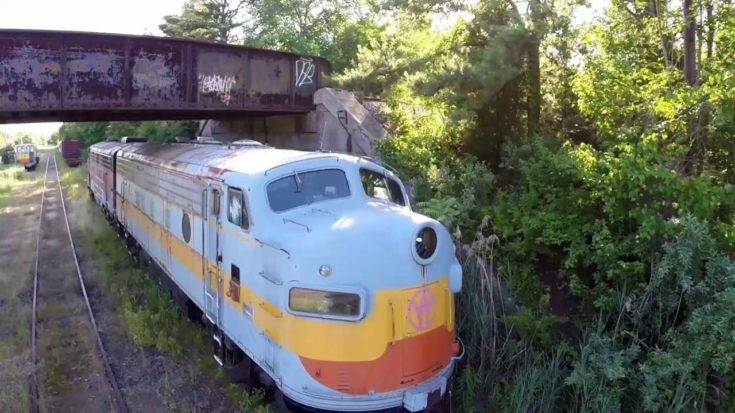 Winslow Junction in New Jersey turned into a train graveyard! Sitting under a railroad bridge supplies the last unglorious stop for these once beautiful locomotives, coaches and caboose. One wonders the miles ridden and the towns visited in their glorious careers. It is not clear why railroads just park the equipment on sidings only to rot away and be vandalized! Maybe bankruptcies play a part, but aren’t they worth saving for the heritage value? Certainly some are beyond repair, but the F7’s shown here must be salvageable along with some of the cars. Also, the caboose is dying to taken and rehabbed! Let us know if you have any abandoned railroads around your town with equipment just rotting away. We would love to hear your take on it!